Cataracts occur naturally with age and cloud the eye’s lens, turning it opaque. Despite the advent of modern cataract removal surgery, cataracts remain the leading cause of blindness globally.1 Researchers at King’s College London looked at whether certain nutrients from food or supplements could help prevent cataract progression. They also tried to find out how much environmental factors such as diet mattered versus genetics. The team examined data from more than 1,000 pairs of female twins from the United Kingdom. Participants answered a food questionnaire to track the intake of vitamin C and other nutrients, including vitamins A, B, D, E, copper, manganese and zinc. To measure the progression of cataracts, digital imaging was used to check the opacity of their lenses at around age 60. They performed a follow-up measurement on 324 pairs of the twins about 10 years later. 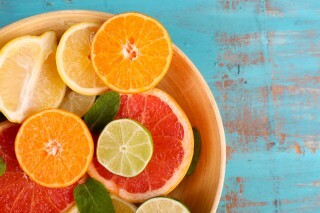 During the baseline measurement, diets rich in vitamin C were associated with a 20 percent risk reduction for cataract. After 10 years, researchers found that women who reported consuming more vitamin C-rich foods had a 33 percent risk reduction of cataract progression. Genetic factors accounted for 35 percent of the difference in cataract progression. Environmental factors, such as diet, accounted for 65 percent. These results make the study the first to suggest that genetic factors may be less important in progression of cataract than previously thought. How vitamin C inhibits cataract progression may have to do with its strength as an antioxidant. The fluid inside the eye is normally high in vitamin C, which helps prevents oxidation that clouds the lens. More vitamin C in the diet may increase the amount present in the fluid around the lens, providing extra protection. Researchers noted that the findings only pertain to consuming the nutrient through food and not vitamin supplements.